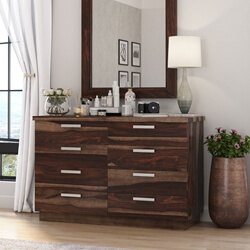 The American Empire style might be described as simplicity with a flare. 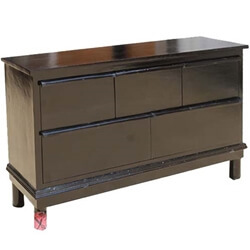 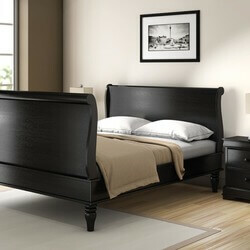 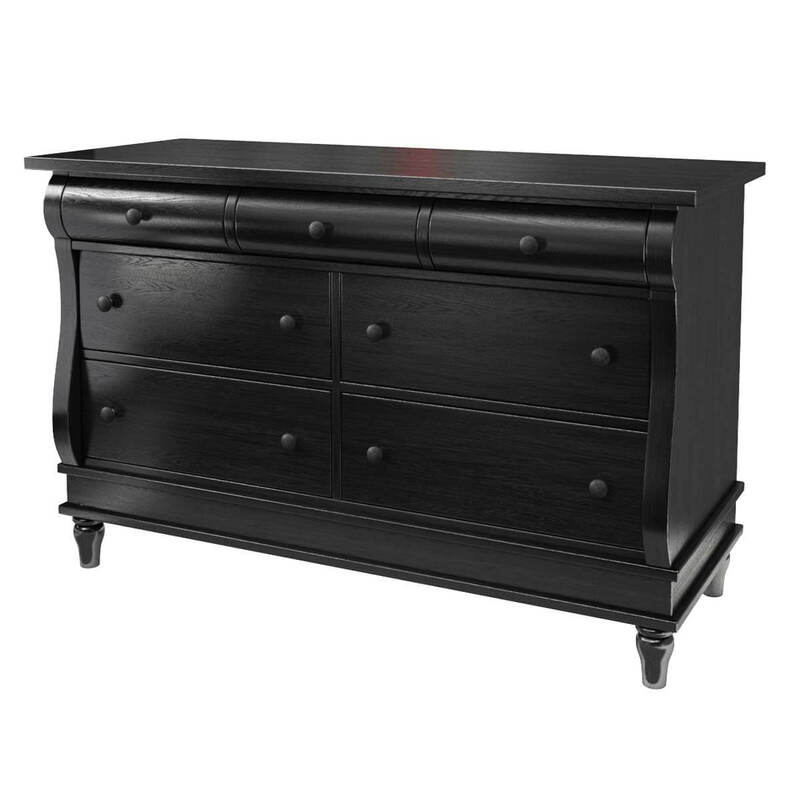 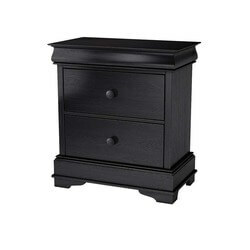 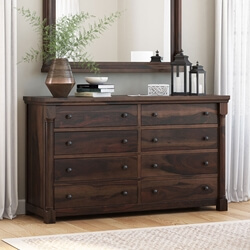 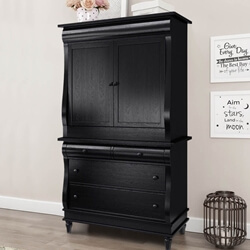 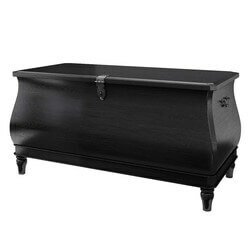 Midnight Empire 7 Drawer Bombe Bedroom Dresser stands off the floor on arrow feet and features a rounded bombe front. 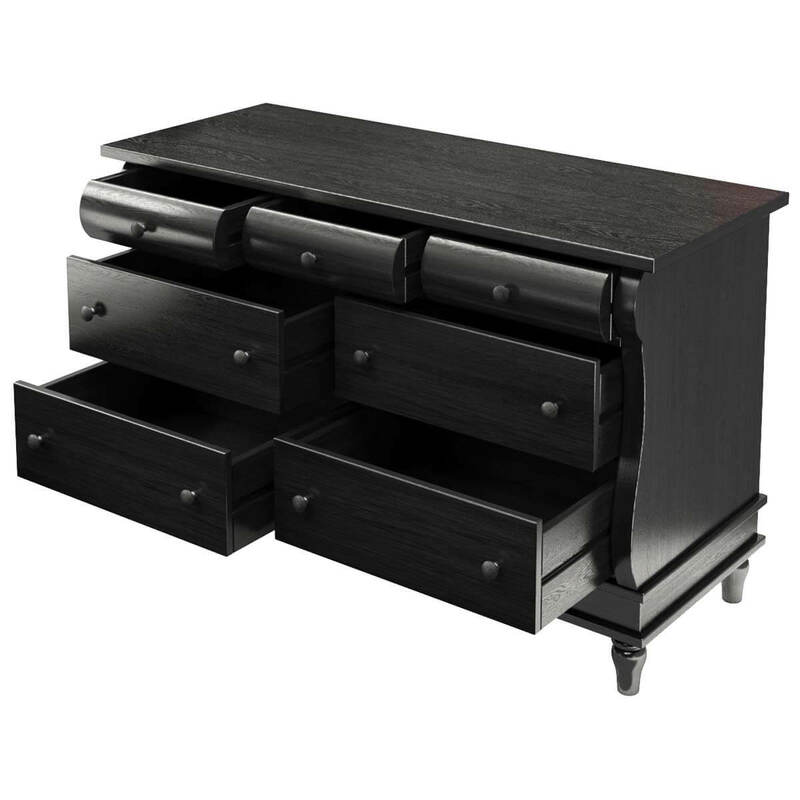 Storage options include four large bottom drawers and three smaller top drawers with rounded fronts. 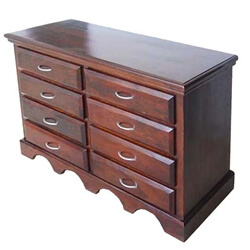 This stunning chest of drawers is built with solid mango wood, a tropical hardwood grown as an eco-responsible sustainable crop. 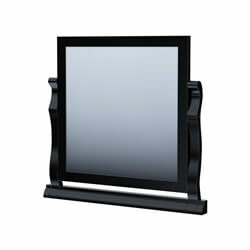 The top extends beyond the frame.